Workers erect scaffolding outside the First National Center building in downtown Oklahoma City. The group also floated the idea of creating a new $45 million TIF district specifically for the First National Center, which is currently vacant and awaiting finalization of a $200 million redevelopment plan. It is built on the assumption that costly infrastructure improvements will attract new investment and development, which, in turn, will raise property values and tax revenue someday. Once a TIF district is active, the city can leverage certain capital improvements to incur debt to pay for the projects. The action does not actually increase taxes. The committees that reviewed the proposal included representatives of the county, city-county health departments, library system and the Oklahoma City Public Schools District, also identified as I-89. City Council member Ed Shadid said he still questions the degree to which a TIF hurts local school districts by drawing away tax revenue for their own use. He has opposed previous TIF districts for the same reason, although other City Council members point out that the schools would not receive any additional funds if the TIFs did not exist. Bryant said I-89 officials have worked closely with City Hall toward a solution that will allow a large portion of the captured revenue from the TIF to go back to the school district. He referred to it as a mutually beneficial arrangement. Earlier this week the Senate Finance Committee advanced a bill that would place a two-year moratorium on a 20 percent tax credit for developers who rehab certified historic structures. The bill is authored by state Sen. Mike Mazzei, R-Tulsa. Developer Judy Hatfield said the on-again, off-again tax credit could hinder future developments. She used state and federal tax credits when she rehabilitated the Carnegie Centre library into downtown apartments. On Tuesday, the Senate Finance Committee passed an amendment that would make projects already under construction eligible to receive the tax credits. Developer David Wanzer and The Pivot Project team have two rehabilitation projects under construction, with two others starting soon. 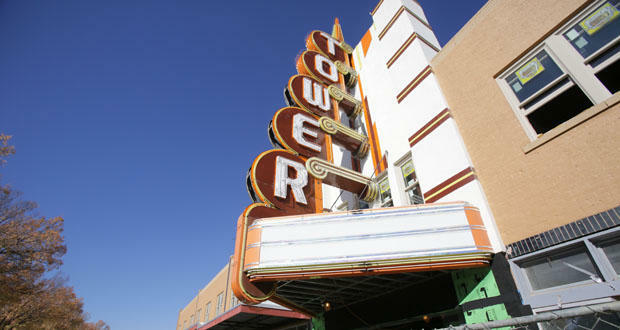 He said he’s hopeful the Main Street Arcade Building and the Tower Theater would still be eligible for the tax credits.